Darrell Martin Wilkins, age 73, of Madisonville, TN, formerly of Mt. Pleasant, IA, passed away March 25, 2019 at his home surrounded by his loving wife and daughters. Darrell was born February 19, 1946 in Hamburg, Iowa, to Verne and Elma (Hansen) Wilkins. He attended Freemont-Mills High School where he was a standout athlete. After graduation he attended Junior College in Eagle Grove, Iowa where he played basketball until he transferred to Sioux Falls College in Sioux Falls, SD on an athletic scholarship to play football. Although a knee injury ended his playing career before the season even started, Darrell continued to attend Sioux Falls College where he met his wife of 50 years, Suzette Millett. After two years at Sioux Falls he decided to attend the Dallas Institute of Mortuary Science in Dallas, TX to pursue a career as funeral director and embalmer. Darrell and Suzette were married in the Dallas area on November 7, 1968 and Darrell graduated from mortuary school the following August. Upon graduation, Darrell completed a one-year internship in Sydney, Iowa to finish his education. 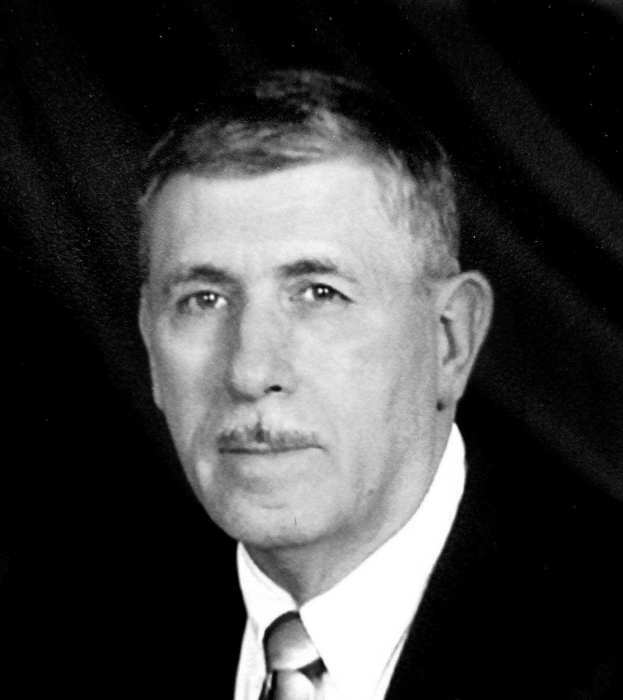 After receiving his funeral director and embalmer licenses, he worked at funeral homes in Muscatine and Des Moines, Iowa before moving his wife and family to Mt. Pleasant, Iowa where he bought into a funeral home partnership. In late 1990, he sold his half of the business and left the funeral industry for about 18 months before hiring on as a hospital mortician at the University of Iowa. This position led to him eventually becoming the head of the Deeded Body Program which is part of the Department of Anatomy and Cell Biology in the Carver College of Medicine. This program provides counsel to individuals and families of prospective donors about the benefits of deeding their bodies to medical education and research. Under his leadership, the Deeded Body Program became recognized as one of the top five such programs in the country receiving tens of thousands of deeded bequests during his tenure. In addition, he also organized and directed the Deeded Body Memorial Service where each year, those who donated their bodies to the program were honored. This service provided an opportunity for the students who benefited from these gifts to share with the families of the donors just how special and important the gift was to their education. Darrell was instrumental in the establishment of a permanent memorial site at Oakland Cemetery in Iowa City, IA where donors were interred. He served as the program director until his retirement in September 2013. Darrell was also given the opportunity to use his skills as a mortician to serve his country. In 1991, the Federal government implemented a team response program to deal with situations of mass casualties. Darrell became a charter member of the Federal Disaster Mortuary Operational Response Team (DMORT). In his 28 years of service to the DMORT program, he has been deployed multiple times including to serve as part of the recovery and response efforts in New York City after 9/11 and New Orleans after Hurricane Katrina. A lifelong enthusiast of the US Marine Corps, Darrell was a staunch supporter of all branches of the US military. He was the proud father-in-law of a Navy and Army veteran and grandfather of two serving on active duty in the US Navy. Darrell was a 30+ year member of First Baptist Church in Mt. Pleasant, Iowa and enjoyed serving his community in several organizations including actively holding leadership positions in Rotary, Masonic Lodge and Sons of the American Revolution (SAR). After retiring to Tennessee, he became an active member of First Baptist of Tellico Plains, where he volunteered through his church as a back-up bus driver for the Circle G Mountain Ministries for Children and as a team leader for visiting work teams as part of God’s Mountain mission outreach program. He is survived by his wife, Suzette (Millett) Wilkins, Madisonville, TN; daughter Natalie (Wilkins) Dyenson of Mooresville, NC; daughter and son-in-law, Valarie (Wilkins) and Eric Spurbeck of Madisonville, TN; parents, Verne and Elma (Hansen) Wilkins of Tabor, IA; brother and sister-in-law, Dr. Duane Verne and Linda Wilkins of Pleasant Hills, IA; grandchildren, Dylan Wilkins and his wife Abby, Marissa and Callie Spurbeck and step grandson, Jordan Miller and his wife Kirsten. The family will receive friends at Myers Funeral Home Chapel in Tellico Plains, TN from 6:00 p.m. to 8:00 p.m. Friday, March 29, 2019. The funeral service will be held at 11:00 a.m. Saturday, March 30 at Frist Baptist Church Tellico Plains with Rev. Richard Parker officiating. Memorial donations in Darrell’s memory can be made to Circle G Mountain Ministries/God’s Mountain, c/o Randy Fulbright, 454 Buck Hwy., Vonore, TN 37885. Burial will be in the Piney Grove Cemetery. Locally, friends may sign a register book and leave memorials at the Olson-Powell Memorial Chapel in Mt. Pleasant during normal business hours. Myers Funeral Home of Tellico Plains is in charge of arrangements.